One of the first known photographs of SCP-3062, dated to the early 20th century. Special Containment Procedures: SCP-3062 is currently not containable by any conventional means. Procedures are limited to disinformation and tracking SCP-3062. Surviving victims of SCP-3062 are to be informed that what they experienced were hallucinations caused by dehydration and heat. Should a surviving victim of SCP-3062 refuse to believe this explanation, amnestics are to be administered. Civilians known to be missing alone in the Sahara are to be located and recovered before SCP-3062 causes major psychological damage or distress. Governments of Algeria, Chad, Egypt, Libya, Mali, Mauritania, Morocco, Niger, Western Sahara, Sudan and Tunisia, as well as all external recovery forces, are not to be involved in the recovery of missing individuals so as to minimise knowledge of SCP-3062's existence. Description: SCP-3062 designates an entity residing in the Sahara. SCP-3062 is frequently described as a male, in their early 20s, of Egyptian descent. SCP-3062 is believed to have an understanding of multiple languages, including English, French, Arabic, Hindi and German. The entity possesses an advanced shape-shifting ability, and can change size and appearance almost instantaneously. 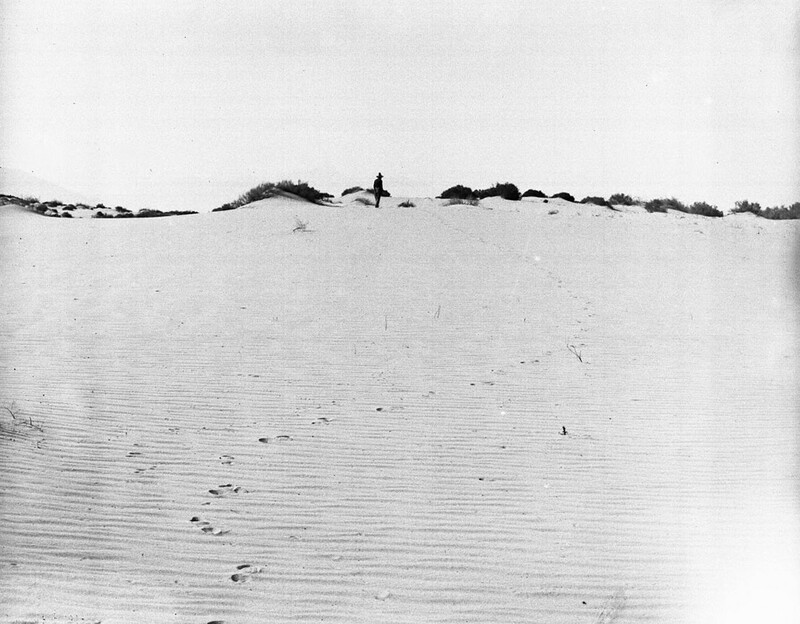 SCP-3062 appears to individuals missing or lost in the Sahara. Subjects must be alone for SCP-3062 to target them, and on the ground. Once targeted, SCP-3062 will seemingly "taunt" the lost individual. Behaviours noted are changing into the subject's loved ones, offering fake food and water, and creating hallucinations of rivers, among other similar actions. SCP-3062 will only leave the individual alone once they have left the Sahara, united with another individual, or perished. SCP-3062 is also believed to possess minor, localised reality-bending abilities. SCP-3062 can change the state of objects.1 SCP-3062 uses these abilities to make the "taunting" more severe. Around 93% of subjects exposed to SCP-3062's actions have been severely psychologically damaged. Addendum: The following is the recovered diary of James ██████, a pilot in the British Air Force. James ██████'s plane crashed in Northern Chad in 1942 due to an unknown technical error. The diary was written in an engine instruction booklet. My name is James Arthur ██████, and I'm a pilot in the RAF. My plane crashed over the Sahara and I managed to eject before it hit the ground. I managed to salvage a small amount of rations, a water flask, a compass, a pencil and this book. I've made camp with some of the wreckage and am planning to head South tomorrow where the desert will run out. I'm not alone here anymore. On my way I found a young man in a rock formation. He speaks English and says his name is Mohammed. He was thin and weary, so I gave him some rations. We've made camp in the formation where I found him. It will be good to have someone else on this trek I suppose. We made significant progress today, covering a lot of ground. Mohammed held the compass. The rations and water are running out quicker than I thought, but I expect we'll reach the Sub-Sahara before they go completely. Mohammed is looking wearier than when I found him, I will admit. Walking must have taken its toll on him. We've been moving for the last two days. Food ran out on the 18th, we still have some water left. Mohammed's condition hasn't improved, I've had to support him with my shoulder for the last few hours before we set up camp. I'm not sure the boy is going to make it if we don't reach the end of the sands soon. I think it's the end for Mohammed. He collapsed today and is struggling to breathe. I've given him water. I've been trying to get a full name from him so I can try and find his family when I escape the desert. It's been unsuccessful so far. I've also been unsuccessful at finding food, there's no insects or lizards or anything. Mohammed has passed, it happened this afternoon. There's nothing to bury him with, and I don't know what religion he is, so his corpse is just lying there. I'm not sure what to do with it. I'm not going to last much longer without food in this heat. The water is running dangerously low, too. For the first time, I'm having doubts about my fate. All day. There's been a sound ringing in my ears. A scr a laugh. A visceral, shattering laugh. It conjures something deep inside my being. Mohammed was taking us the wrong way. He was taking us North. I'm probably in Libya now. So it's probably a better idea to head North than South now. I don't know how much water I've got left. I noted my water flask was feeling much heavier. I thought, by some miracle, condensation had perhaps collected in the flask. I took a sip. Gasoline. All of it. So now I have nothing to drink. I need to When I took the sip the laughing started again, only this time it was louder and much more harsh. I found some dirty water underneath a rock, so I've got some more days until I die of thirst. I saw something on the horizon. A tank, moving faster than a tank ever should. If it wasn't a German tank I would have gone to approach it. I don't want to be killed or taken as a prisoner. The sands are still better than that. I didn't confront the tank, it found me. I was walking and it rolled up behind me at an unimaginable speed. The hatch opened and a man came out. It was Mohammed, but his face was caved in and burned. He pointed a finger at me and let out a scream not befitting that of a man. If I get out of here I'm never going to forget that scream. He left a live beetle grub which I was forced to devour. My compass is gone. I was looking at it, and it became encrusted with what I can only assume is rust and the needle stopped turning. The compass is made of aluminium. When I was walking today I suddenly saw a red gash open up in the sky for a few seconds, before it fizzled. This repeated serveral times before an unholy yell rang out, and the event stopped. There's something sinister in these sands, I know that for a fact now. I was hiding from the sun inside a cave and something started pounding on the outside. Something huge. The cave filled with water and I drunk as much as I could before it turned into fine sand. The laughing started again. That same laughing after Mohammed died. It caused the cave to fill with the most retched stench I have ever been exposed to, like a rotting corpse. I'll be cowering in this cave until I know I'm alone again. I ran for my life from what I thought was a German unit, but I believe it was just another manifestation of the beast. All the soldiers were joined by a bridge of flesh at the hip. I was shot at numerous times, but the bullets turned to sand as they hit my skin. I've had no luck finding water or any more food. He came to me. The demon, but smaller. Those eyes in craters, that skeletal body. He It was man-sized. He told me he would never let me leave and that I was cursed with him, before leaving a grub and a bowl of stagnant water. I was forced to devour them once again. The logs abruptly cut out at this point. The diary was found bonded to a large boulder. Nearby, a pencil with the graphite inside replaced with sand was discovered. It is unknown what happened to James ██████. Addendum 2: Following is a summary of the most notable D-Class test. Summary contains notable log extracts. D-AP0391 was a 44 year old man convicted of murder. It is noted that D-AP0391 converted to devout Catholicism while awaiting execution. D-AP0391 was left abandoned in northern Mali with several days worth of food, water, and live audio and video feeds. D-AP0391 is heading North. SCP-3062 manifests as an angel-like entity, levitating above D-AP0391. SCP-3062: Son… You have sinned. This is your curse. D-AP0391: I have repented! For the last 8 years I have repented! SCP-3062: You have failed us all. SCP-3062 vanishes. D-AP0391 stops and rests, seeming distressed. D-AP0391 is seemingly wandering in an aimless direction. SCP-3062 manifests walking in front of D-AP0391, resembling modern depictions of Jesus Christ. D-AP0391 stumbles and seems shocked. SCP-3062: My son… I have come to help you. Come to me. SCP-3062 suddenly pulls out a khopesh2 and pierces D-AP0391's chest. D-AP0391 screams and falls back, weeping. SCP-3062 vanishes. The weapon in D-AP0391's chest turns into sand and collapses, and the wound heals. D-AP0391 is lying on a rock. SCP-3062 manifests in the form of stereotypical western depictions of Satan. D-AP0391: Get away from me, please! SCP-3062: I'm not going to hurt you. I just want to help you. SCP-3062 extends a hand with a bowl of water inside it. D-AP0391: Why this kindness? D-AP0391 Starts to consume the water. SCP-3062: To remind you that kindness existed. The water turns to sand in D-AP0391's mouth. SCP-3062 starts laughing and vanishes. The laughing remains in the radio signal to researchers. The laughing stops, and researchers record a voice speaking directly into the radio. Communications are lost with D-AP0391, who has not yet been recovered. Addendum 3: An unrelated Foundation excursion into the Egyptian Sahara uncovered a structure believed to be around 3000 years old. 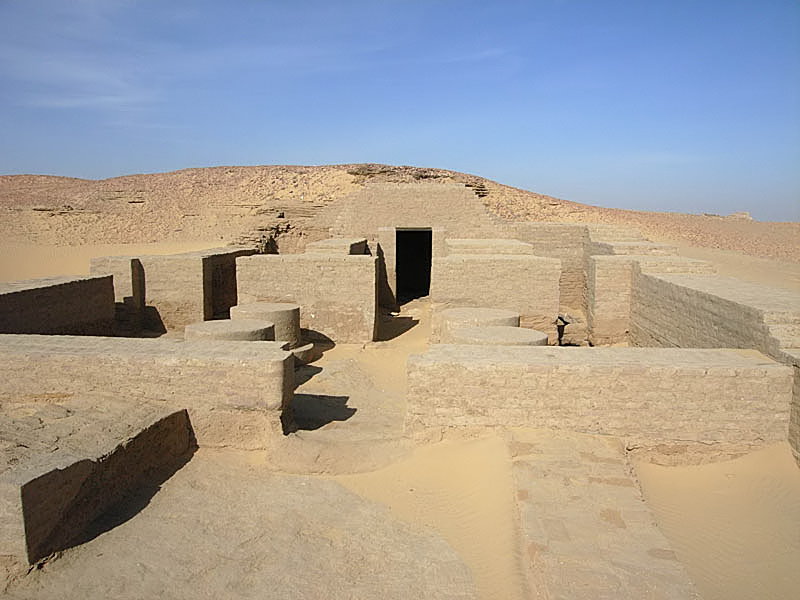 The structure was ancient Egyptian in origin and appeared to be a site of worship at first. Upon entering the subterranean portion of the structure, personnel discovered the scene of an apparent struggle. A large coffin-like structure lay in the centre, surrounded by mummified corpses, which all displayed unusual scarring - for example, one body possessed a rib cage comprised of lead. The lid of the coffin was found several metres across the room. At one point on the wall, several lines of hieroglyphics were written. A large portion of these hieroglyphics were illegible. Personnel have translated as much as is apparently possible, and the translation is found below. [ILLEGIBLE] cursed to these sands forevermore. Shortly after discovery, SCP-3062 manifested outside the structure. Personnel were unable to prevent SCP-3062's advance, and the entity turned the structure into sand, destroying it. Several personnel received severe injuries.